Philippe is a chubby French teacher turned shepherd in order to be closer to nature. He moves with his beautiful wife Chris and three children from the Pyrenees to Chersogno, a lonely Val Maira village just at the feet of mount Monviso. At first his arrival triggers a general feeling of distrust in his fellow countrymen, about one hundred people, mostly aged and secluded in their obstinate cultural isolation. The old people speak old Occitan, a sort of mixed language between Piedmontese and French, while the few local youths adapt to the situation. Costanzo the mayor and a famous local clarinet player, Fausto, who decides to spend the winter there to heal an injured arm, will manage to convince the local community to accept the foreigner. To do so, they play more on the economic and tourist income it can make from Philippe – who makes and sells a delicious goat-cheese to his fellow countrymen and tourists – rather than on the opportunity to approach another culture. After an initial kind welcoming of Philippe and his lost, confused wife things turn into open hostility, both because of the blindness of some people, among whom the post-woman and the regular customers of the village’s only pub, and of Philippe’s sheer determination, who distances himself from the local gossipers in a proud and senseless isolation. The epilogue is tragic, and Philippe will be forced to leave. However, someone else has received the message of tolerance, and is now ready to take his place. Il vento fa il suo giro is a demonstration of how foolish and blind the Italian film distributors are. At the end of June they overwhelm theatres with silly, long films or blockbusters, and they forget about films such as these, which have won awards worldwide (in Italy it won the Bergamo Film Meeting prize and received a nomination at the Rome Film Festival) and have depth and a solid narrative structure which is unknown to most of the summer films. It may either be because the dialogues are in Occitan with Italian subtitles or because it features virtually unknown actors and not so gorgeous ‘pseudo-actors’ exposing their bodies. It may also come down to the fact that the film is set in a lonely, underrated Piedmontese valley rather than in New York City or in the French Riviera. It does not matter. No excuse is good enough to justify the invisible presence of this film on the silver screens. Giorgio Diritti, one of Pupi Avati’s former assistants, makes his debut as a film director: he approaches themes such as tolerance among cultures, the search of a “natural” life, the memories of a glorious past and the fears of the future. In doing so, he reaches a wonderful balance between the plot and his visual depth: there is no shot out of balance in the whole film and all the characters are perfectly portrayed in their evolution, one by one, without either lexical or visual failures. The moral assumption of the story permeates the film without heavy dialogues (except for a violent confrontation between Philippe and Fausto about the meaning of the word “tolerance”), or explanatory sequences. Most of the actors, who are not professionals, play with prodigious adequacy their own characters. 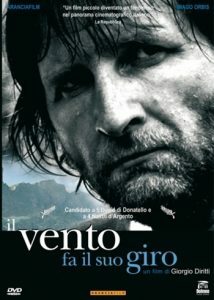 The film reminds the audience of the inspiration behind some of the best Ermanno Olmi’s films, such as The Tree with the Wooden Clogs or The Profession of Arms, where the story is told with no compromise to achieve box-office success, but the director never forgets he’s just a narrator at his audience’s service. However, the film is not completely perfect: the last scene just before the final sequence appears conventional and exceedingly metaphorical, when compared to the realism of the rest. Anyway, the POV shot from the cemetery, while a voice over recites a touching poem, is truly moving. The character of Philippe’s young wife is not convincing in her ostentatious melancholy, and the “rueido” tale (i.e. the description of a collective rite among the fellow countrymen dating back to the time of the Resistance) might have been linked better to the rest of the plot. Nonetheless these are small flaws in respect to the poignant description of a vanishing world, and to the realistic portrayal of the opposition between different lifestyles which are not affected by the usual black-or-white beliefs (even Philippe is often a mean character), but permeated by a lyric authenticity, which is nearly a miracle. A film to be seen. Without a doubt.